Xiaomi Redmi Note 5 and Redmi launched in India with Android 7.1 Nougat with MIUI 9. 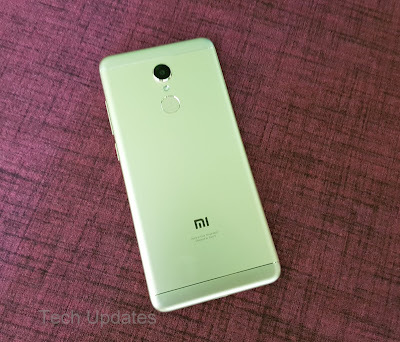 Redmi Note 5 is updated to MIUI 9.5 with Nougat 7.1.2. Xiaomi Redmi 5 has a 5.7-inch (1440 × 720 pixels) HD+ 18:9 2.5D curved glass display powered by 1.8GHz Octa-Core Snapdragon 450 processor. It has a 12MP Rear camera and 5MP front-facing camera. Packed with a 3300mAh battery. It comes with Metal body and Fingerprint Scanner on the Rear. Xiaomi has already rolled out MIUI 10 Global Beta update for Mi Mix 2, Mi 6, Redmi Y2/S2, MIUI 10 Global closed Beta testing is going on for various devices including Redmi Note 5 Pro, Redmi Note 5, Redmi Note 4, Mi 5 and Redmi Y1.